This week, our challenge is to post about something ornate, something elaborate and over the top. The first thing I thought of was Japan! Now some people may think of Japan and envision serene bamboo groves, tranquil hot springs and minimalist decor, perhaps the spare elegance of a perfectly pruned bonsai or beautifully arranged ikebana. But let us not forget that Japan is also the country that brought us hyperactive anime, crazy girl groups like Morning Musume and AKB 48 (you need to see some of their costumes…), and IRON CHEF! 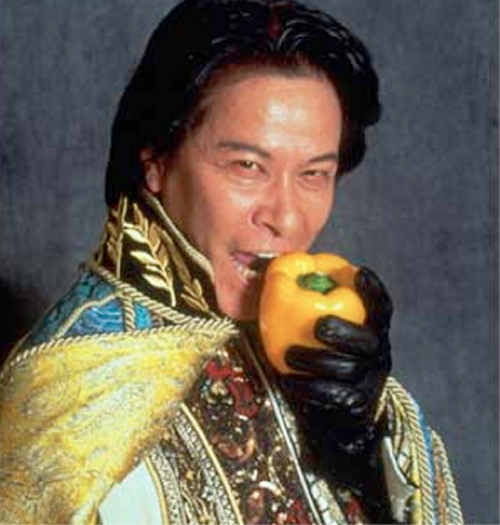 Nothing’s quite as over the top a man in a gaudy cape biting audibly into a crunchy yellow pepper. I’m talking about the Japanese version of course… not the American one with Alton Brown! In any case. Japan has a strong sense of the ornate… here’s some proof! Sooo this is obviously a pretty old picture since it’s (gasp!) a flip phone! But look how extremely bedazzled it is! If I had this phone in my bag all the pretty decorations would be knocked off in a day! Japan is also famous for using plastic replicas of the food they serve inside. These are super delicious looking representations of parfaits – literally over the top with creamy and fruity goodness! Hmm… this week’s challenge made me think. 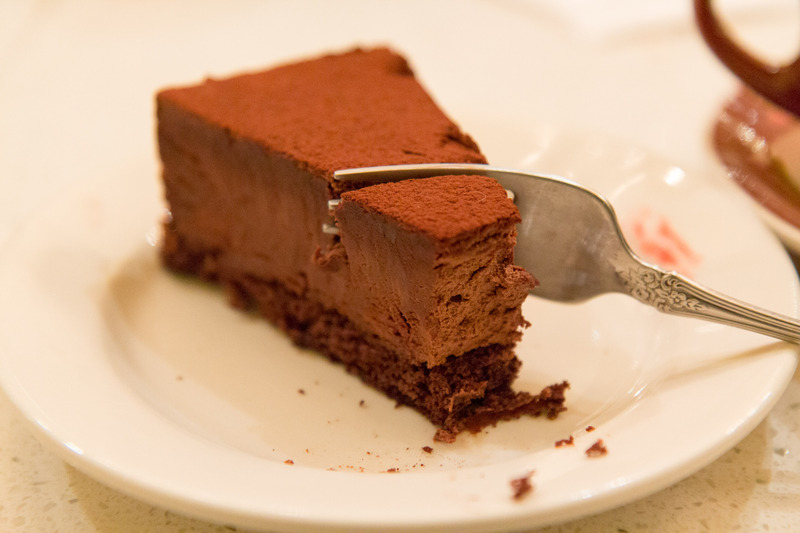 It’s so hard to single out a single thing that I consider a treat – anything that’s enjoyable (and not work-related!) to me is a treat! Whether it’s mimosas, fine leather goods or a nap that does you good, go out and do it! While hopefully not breaking the bank or missing work or neglecting your children or whatnot. I advocate responsible treating! This thing of beauty is a green tea blueberry cake, and while the flavor combination may sound weird, it is super divine! Light fluffy green tea cake layered with cream and blueberry jam… give it to mama! 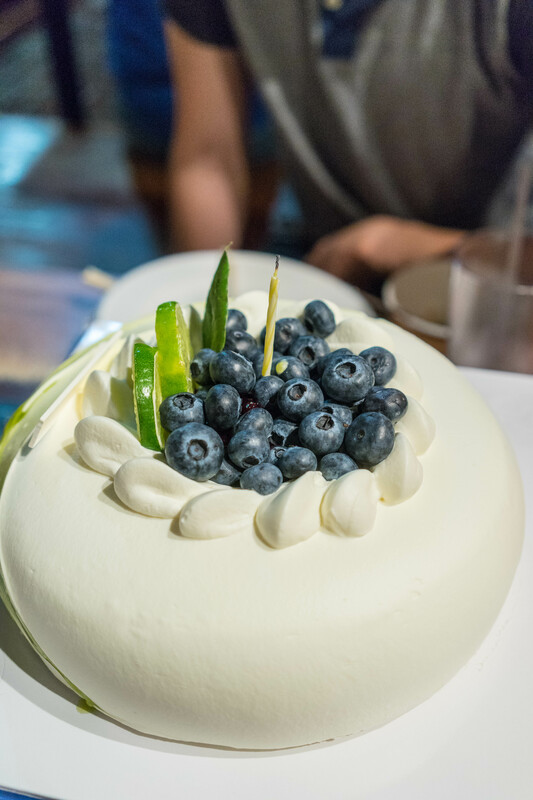 This cake also reminds me of good times spent with friends – surprising my husband for his birthday, eating Korean BBQ buffet, and catching up on times – a definite treat! 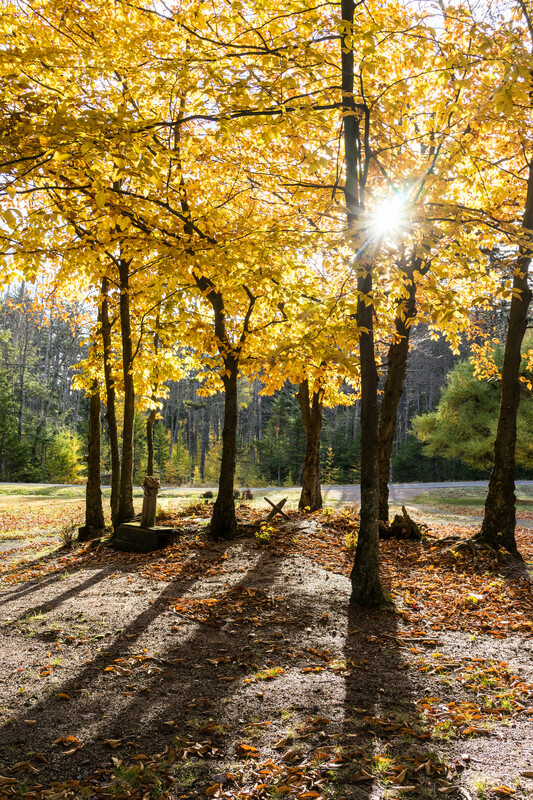 Sometimes you wake up and the sun streaming through the trees is so gorgeous that you just have to get out your camera and capture it! And then you remember its 40 degrees outside and you’re not wearing a coat… or shoes. But then you also remember that you’re on vacation and you have the next 3 days off! YEAH TREAT! And finally, the biggest treat of all is spending time with this elegant little girl right here! Just look at that lady-like eating face. 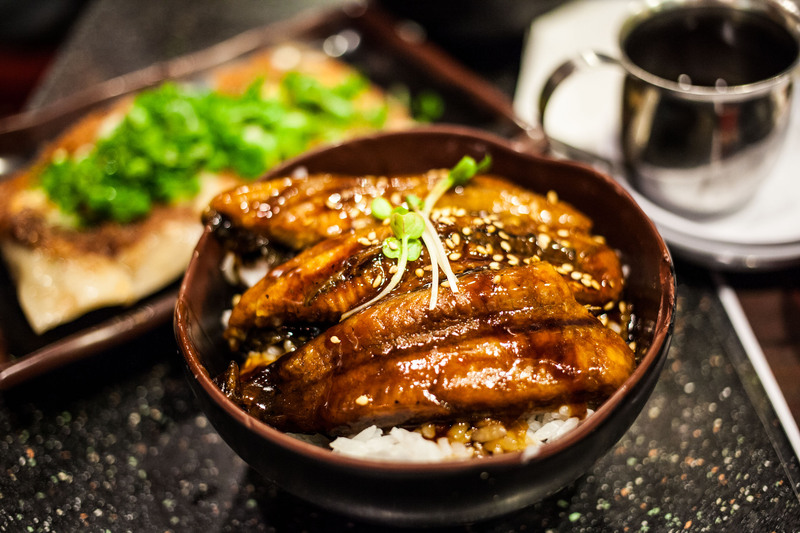 Have you had grilled eel? Mostly served in Japanese restaurants, it’s called unagi in Japanese and is called mouthwateringly delicious by me. At Daikokuya in Los Angeles (famous for ramen, which we also did get), I had to have the unagi-don (grilled eel rice bowl) and I was so glad I did. Deliciously brown! 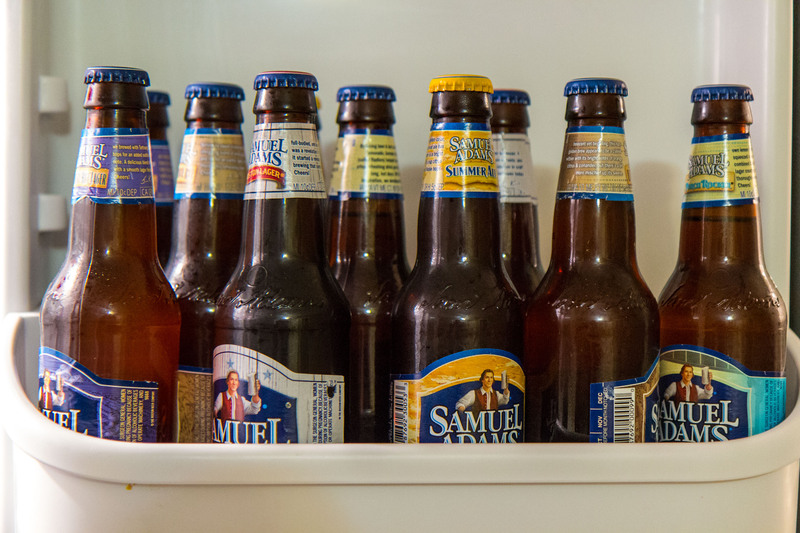 Technically I suppose beer is more a golden color rather than brown.. but the bottles are certainly brown enough! The very best of brown foods coming together – brown meat and brown carbs! Love it! 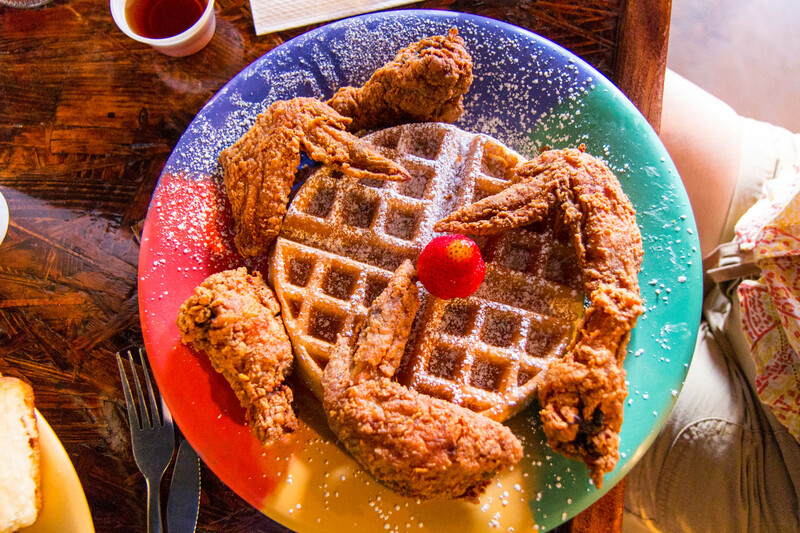 Chicken and waffles at The Breakfast Klub in Houston, with the as advertised one strawberry to top it. Now that we have more than 2 square feet of counter space, we’ve whipped out our slow cooker (received from our wedding registry three years ago!) and finally started using it to make pulled pork and other slow-cooked delicacies! 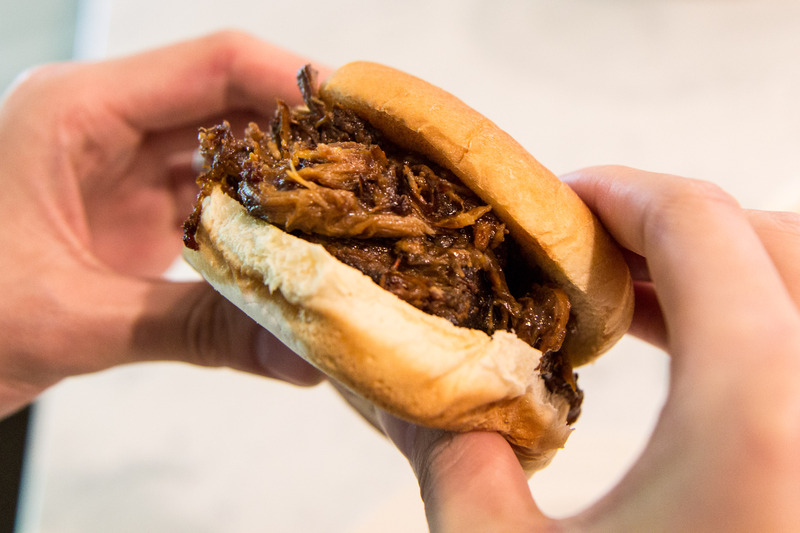 This was our first try at pulled pork and the results were delicious! 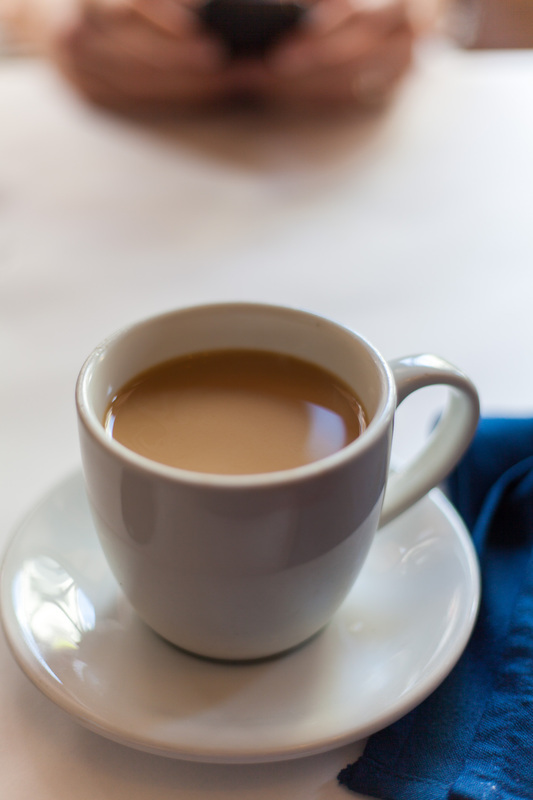 A cup of brown coffee is a welcome sight for any jet-lagged traveler who has a full day of sightseeing ahead of them! 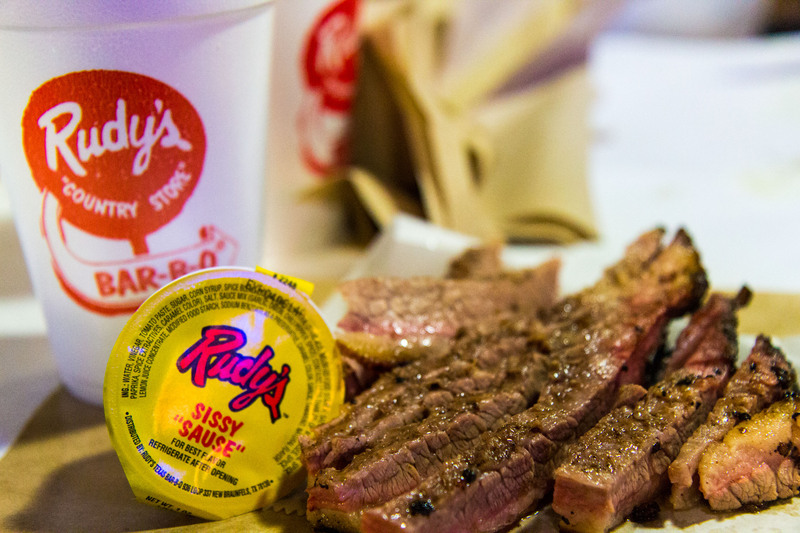 One of the tastiest briskets I’ve ever had was at Rudy’s Country Store in Texas – the moist brisket is amazing! Juicy, tender, flavorful – I’m drooling just in recollection of this delicious brown meat. 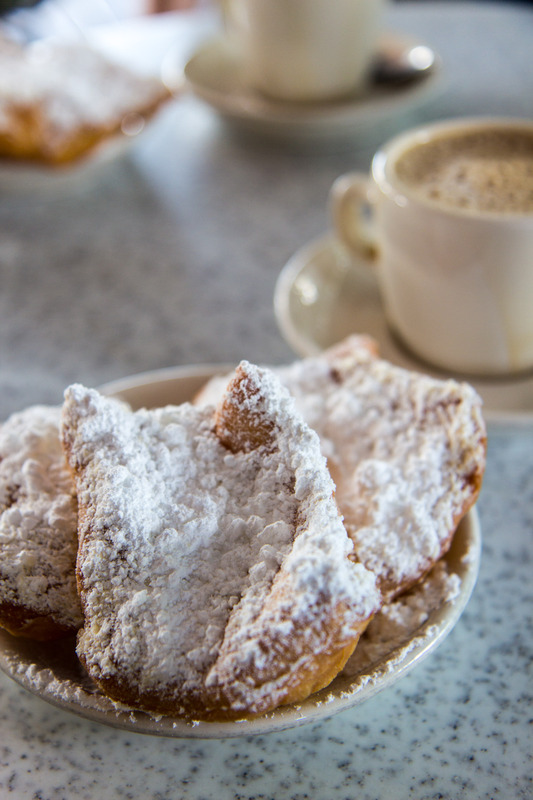 I promise, underneath this thick blanket of powdered sugar these beignets are a lovely golden brown! This post is in response to the weekly Travel Theme at Where’s my backpack?, check out Ailsa’s great pics! The best mornings are the ones where you wake up naturally, willingly opening your eyes to start your day… which happens rather infrequently due to my work schedule and my hubby’s propensity to sleep late. Most days I’m awakened by my song alarm and head to the shower, bleary eyed. The rest of my morning would usually be a quick cereal for breakfast and then on to work! Nowadays though, my mother-in-law is living with us, and while the arrangement has its cons, one of the definite pros is that she makes breakfast for us (and all our other meals… gosh we are spoiled!). 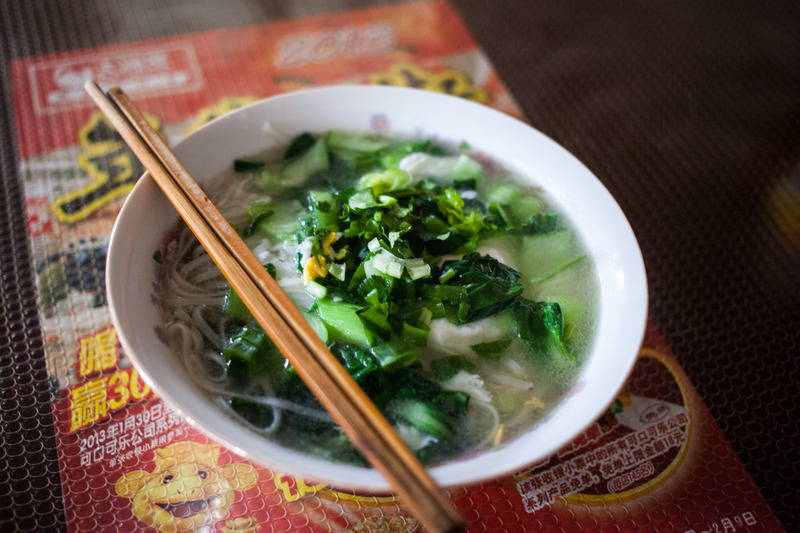 Her breakfast of choice for us is noodle soup, with any assortment of vegetables and herbs that we have on hand. It’s simple and quick to whip up but oh-so-filling and warms you up on a brisk fall day! This picture is actually from my trip back to my husband’s hometown earlier this year, but it’s pretty representative of what we eat in the morning. Yum! I love taking pictures of food so I wish I had access to my old pictures for this week’s challenge but alas! I will have to restrict myself to the one. 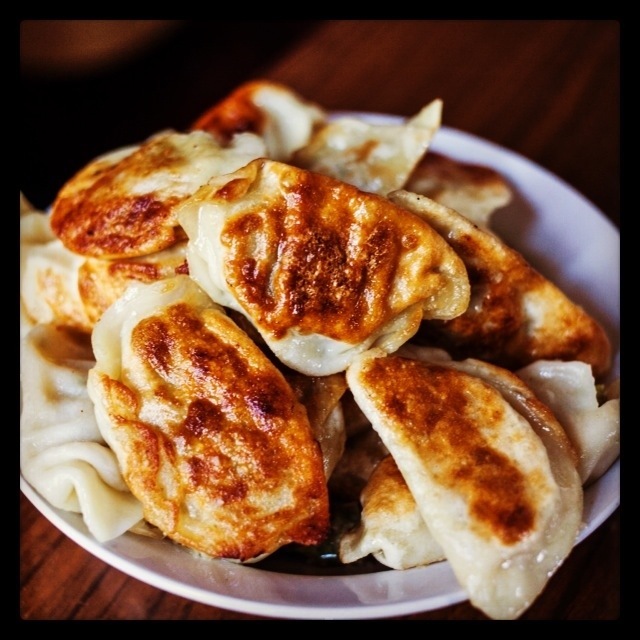 One of my favorite dishes is the pan-fried dumpling (jiaozi) (Japanese: gyoza, Cantonese: gaozi). Because really, who doesn’t like pan-fried anything? 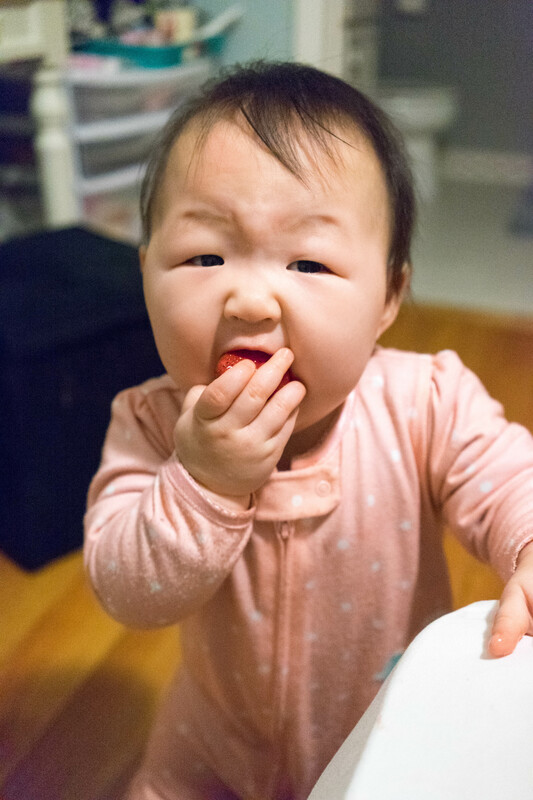 His mother and grandmother will make all the dumplings from scratch – chopping the ingredients to make filling, mixing and rolling out the dough wrappers, filling and pinching each perfect dumpling closed. They make a super huge amount, all to be boiled and served for dinner. The leftovers are then kept for the next day, when either for morning or lunch they will be pan-fried to crispy golden perfection. So delicious! I can’t even think of a good intro for this weekly photo challenge because my brain is so fried! Went to Los Angeles for a conference this past weekend, then came back to three days of work (at 12.5 hours each). We haven’t had time to cook so we’ve been getting Chinese takeout every night and as much as I love Singapore mei fun and chicken with cashew nuts it’s getting plenty old. Another long day of work tomorrow and then we will be flying to China! So yes… I have been pretty remiss. But in any case I had to try to keep up with the photo challenge! Sorry for the ramble! 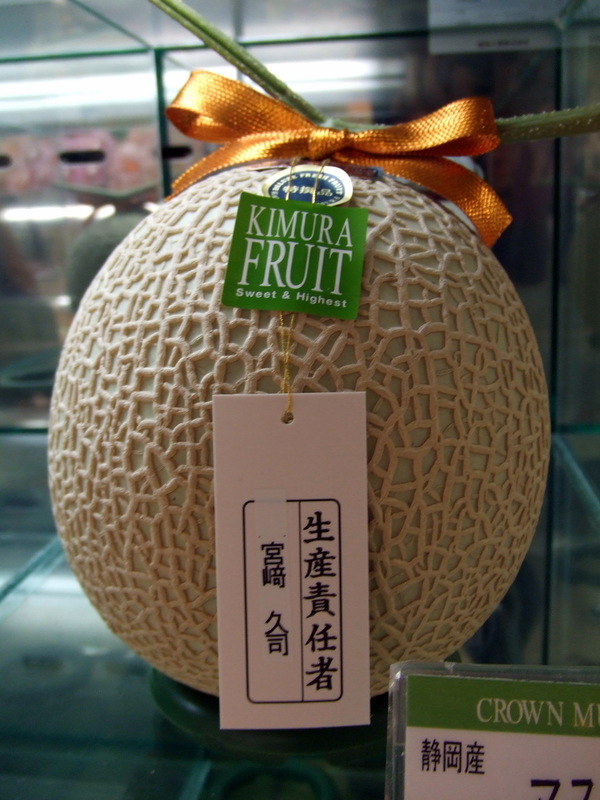 Perfectly round cantaloupes go for a premium price in Japan! 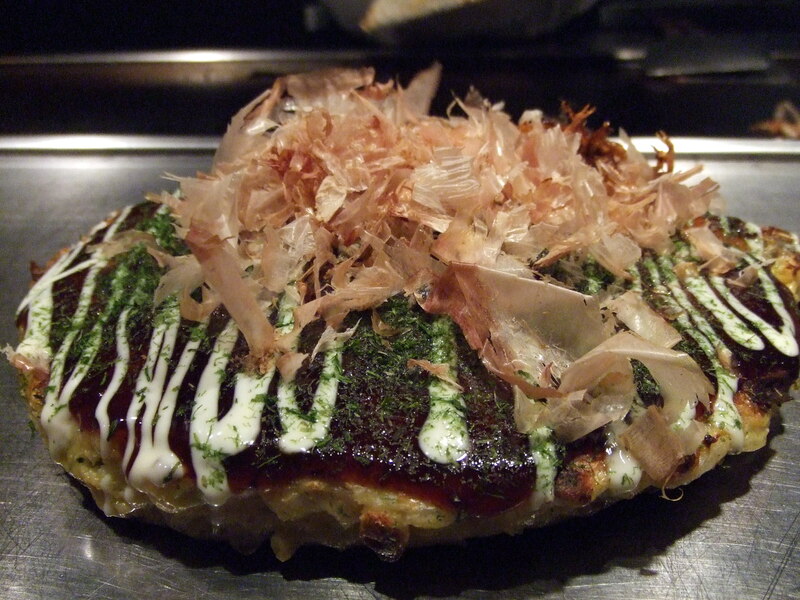 Okonomiyaki! Basically this is like a Japanese pancake… that is, if pancakes had savory fillings, yummy toppings, and were finished off with artful drizzles of sauce and perhaps a sprinkle of bonito on top. I think they’re more comparable to pizzas actually because there’s an endless variety of toppings and styles. Delicious! So perhaps these are more oblong rather than round but I could not resist the cute factor of these mantou! 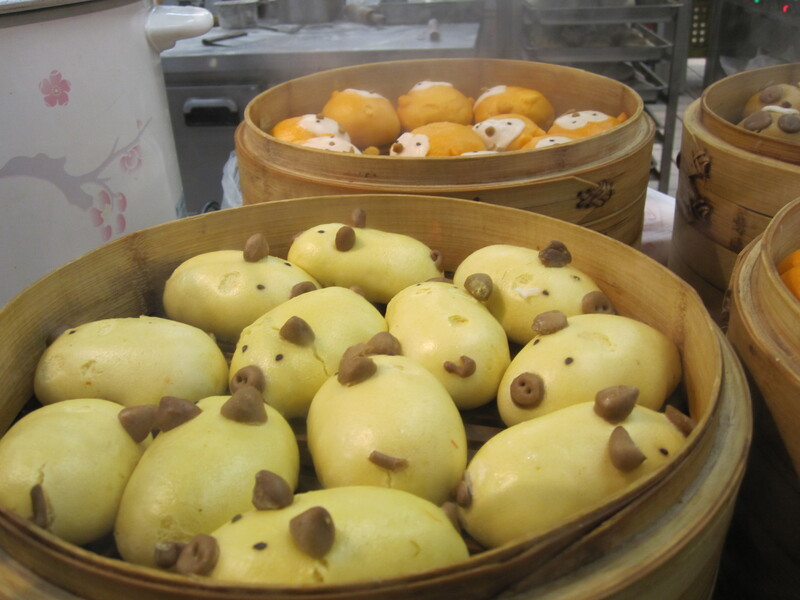 Mantou are Chinese buns that are very popular in the north. They can make them into all types of adorable animals, as you can see. 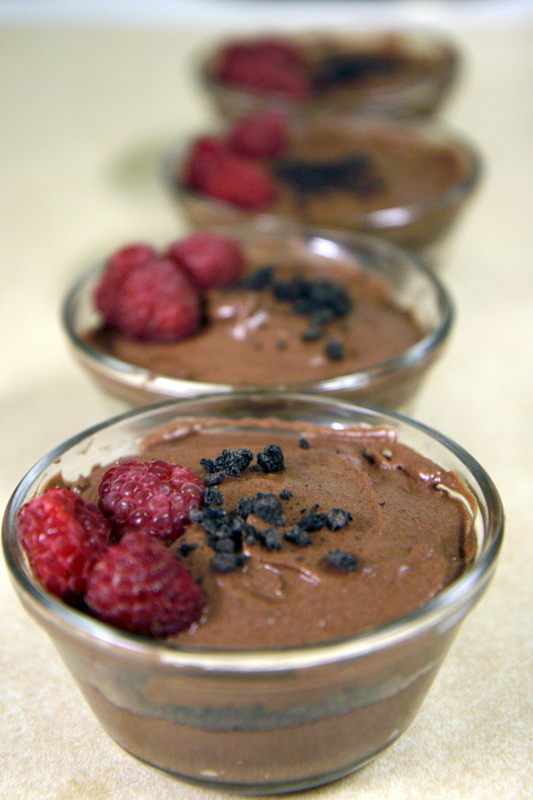 Chocolate mousse dessert! I have to admit I made these from a mix but added my own flair of crushed cookie crumble and raspberries. I’m a regular Sandra Lee. 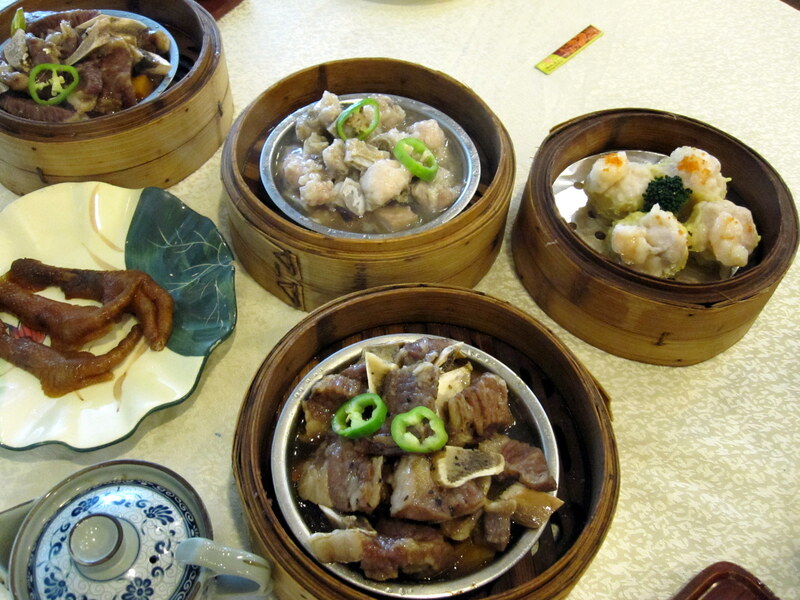 One of my favorite meals of the day – dim sum! This is a Cantonese tradition where people meet up to chat, drink tea, read their newspapers and dine on small plates. The dishes come in round bamboo steamers, and the best places have the ladies pushing carts stacked high with towers of yummy, yummy dim sum. I really miss sushi sometimes! I don’t think I’ve found my go-to sushi place here yet and I think back fondly on the sushi places of NYC. 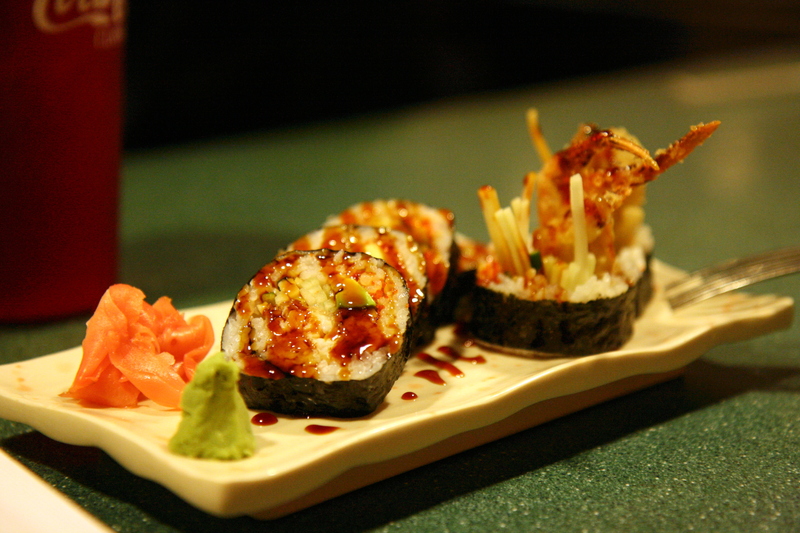 Sushi is round, it’s healthy-ish, and it’s delicious! My favorites are dragon roll, spider roll, and basically anything that has avocado in it or eel. 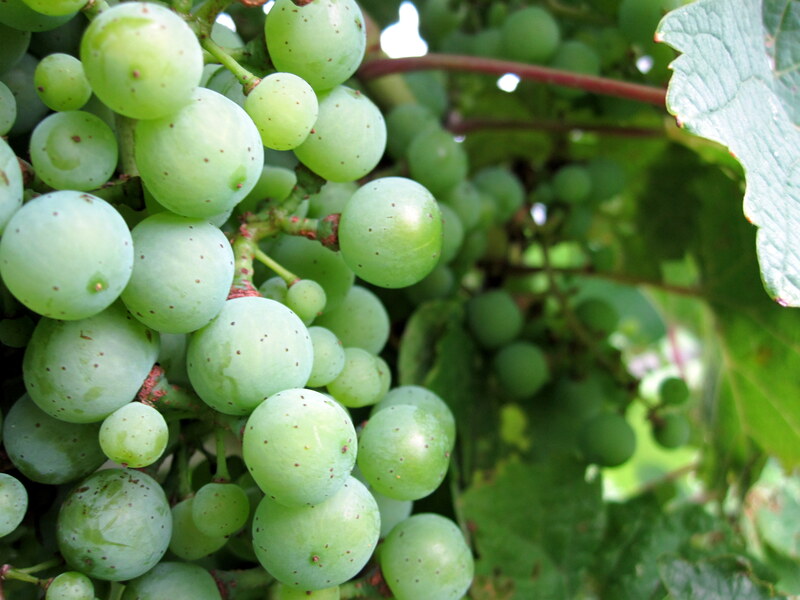 The wineries around Cayuga Lake in the Finger Lakes region are great places to visit if you love wine. Unfortunately I pass out after the 3rd tasting or so – such a lightweight. I absolutely recommend visiting the area even if you aren’t a oenophile – the scenery is gorgeous and most wineries have a breathtaking view of the surrounding area and the lake. Tarts are round, right? 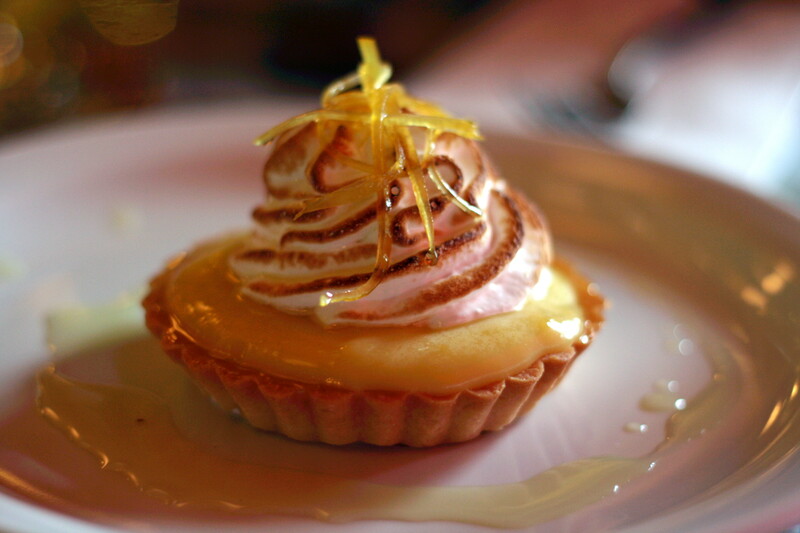 Here we have a very artfully displayed lemon tart from a lovely little cafe in Montreal. We had the whole cafe to ourselves – it was a rainy day and the tourists weren’t out and about. It was sweet and rather romantic! How to make a food even better? Slice it and fry it in hot oil! 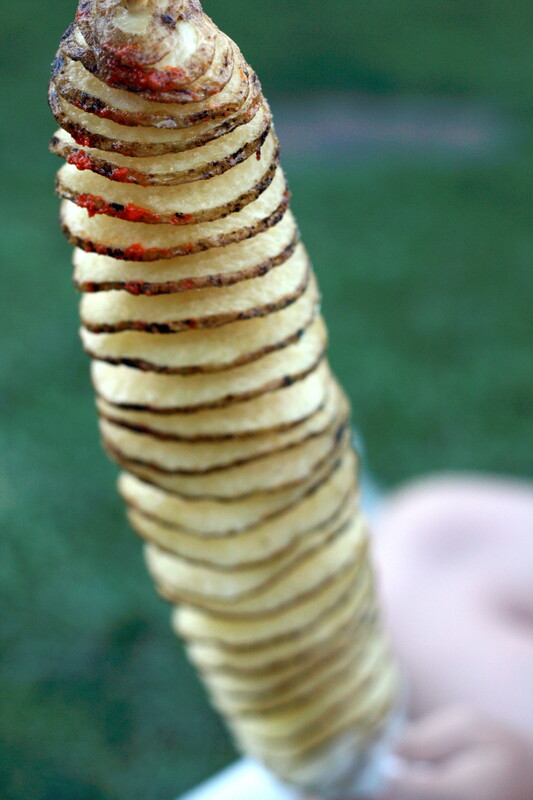 Here we have a potato, deconstructed into this swirly creation and fried, then topped with whatever flavor powder your heart desires – garlic butter, onion powder, cayenne spicy, whatever! It’s a messy but tasty treat at the state fair. My mouth waters at the sight of these curled up sausages, getting all browned and tasty! 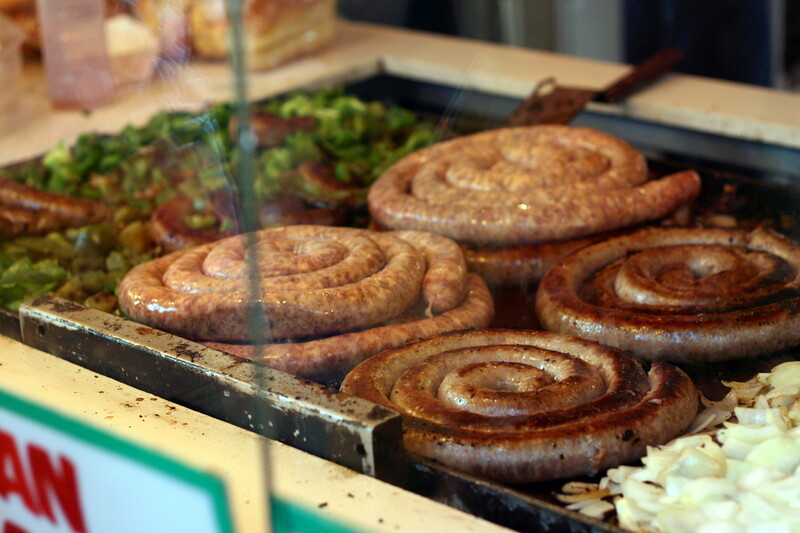 This stand at the fair serves sausage sandwiches heaped high with onions and peppers. I guess the sandwiches aren’t exactly round… but the sausages are at least!